If you are injured while working on a construction project, call the White Plains construction accident attorneys at Worby Groner Edelman. We can help arrange for payment of your hospital and medical bills, and lost wages through your employer’s workers compensation carrier, regardless of who may have caused your accident or injuries. 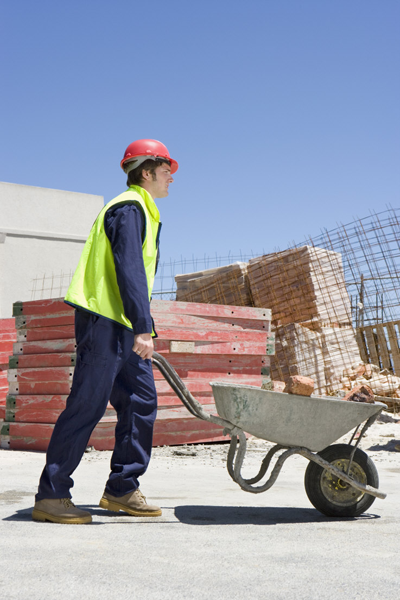 Construction Workplace Accidents - Who is Responsible? Call us as soon as you are physically able to do so, because in some cases – for example, where the building under construction is owned by a municipality – you may have as little as ninety days to file a claim. If that ninety day filing period is missed, you may not be able to file a claim at all. Keep in mind that while under New York law a worker who is eligible for and receives workers compensation benefits is prohibited from suing his or her employer if they are injured on the job or during the course of their work, in many cases there are other parties that may be held legally responsible for an accident other than one’s employer. On most types of construction jobs, New York’s Labor Law imposes certain duties and responsibilities on the building or property owners, general contractors, and construction managers overseeing the project. These parties are required to provide certain safety equipment, such as scaffolds, ladders, harnesses, and make sure that they are properly set up and used. We will consult with the experts necessary to prove your case, both on the issue of liability (fault) and damages. Many cases settle out of Court, and we’ll try our best to settle yours. Sometimes, though, an insurance company won’t make a sufficient offer to settle, and in that case we’ll take your case to trial. Our trial attorneys have years of courtroom experiences, and have earned the respect of defense attorneys and the insurance carriers that they represent. Of course, it’s always better to not be injured at all, so if you’re working on a construction project, be careful out there. Most construction workers cannot exercise control over the project, and that is why the New York Labor Law protects constructions workers as it does. If you are injured on a construction project, you should speak with an attorney at Worby Groner Edelman about your rights, and whether an entity other than your employer may be responsible for your injuries. Our attorneys handle construction accidents, Labor Law cases, and other on-the-job accident cases as a regular part of our practice. We’ll answer your questions, and we’ll process your case quickly so that it can be resolved as soon as possible. We’ll be with you all the way, from the initial consultation to the courtroom, if that becomes necessary. You’ll be treated with the utmost respect. You’ve already suffered from the consequences of the accident, and are dealing with the effects of the injury. Let us handle the legal details. The consultation is without obligation, and there’s never a fee unless we’re successful.